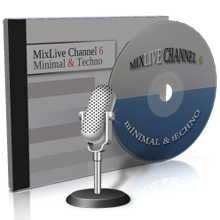 Update 04-11-2017, Our Minimal & Techno channels have been combined into one live stream. Join us for your daily dose of Minimal & Techno, Detroit Techno, Dub Techno. Featuring exclusive releases & old school classics. Listen to music from artists such as: Jeff Mills, Adam Beyer, Laurent Garnier, Richie Hawtin, John Acquaviva, Sven Vath, Carl Cox, Green Velvet, Marco Carola, Carl Craig, Umek, Jaris Voom, Kevin Saunderson, Nina Kravis, Chris Liebing, Josh Wink, Solomun, Dave Clark!